Griffith Stadium was the home of the Washington Senators from 1911 until the club relocated to Minneapolis-St. Paul after the 1960 season, and then for the inaugural campaign of the expansion Senators in 1961; but only one Senators hurler ever fired in a no-hitter in that mammoth steel and concrete structure. The author of that gem was spot starter and reliever Bobby Burke, described by the Associated Press as an “in-an-outer,”1 who fashioned a record of 38-46 and made just 88 starts in his 10-year big-league career (1927-1935, 1937), all but the last of those with Washington. As Washington prepared to take the field on August 8, 1931, against the lowly Boston Red Sox, their third-year manager and the greatest former player in franchise history, Walter Johnson, probably recognized that his second-place club (64-39) had just a slim chance to catch the two-time reigning World Series champion Philadelphia Athletics , whom they trailed by 11 games. Sixth-place Boston (41-63), skippered by rookie pilot Shano Collins, was battling the Chicago White Sox and Detroit Tigers for the worst record in the league, and trailed the eventual pennant-winning A’s by 34½ games. Toeing the rubber for Boston was 34-year-old Wilcy Moore, who had made national headlines in 1926 by winning 30 games for the Greenville (South Carolina) Spinners in the Class-B South Atlantic League. The following season, he won 19 games and led the AL in ERA for the world-champion New York Yankees. Acquired by Boston prior to the ’31 campaign from the St. Paul Saints in the Rule 5 draft, the right-handed sinker-ball pitcher known as “Cy” sported a career record of 38-23, including 9-8 thus far in ’31. Wilcy Moore’s hope to replicate his success from his previous outing, a career-best three-hit shutout against the Yankees on August 2 at Fenway Park, was dashed in the first inning. Sam Rice, a 41-year-old with 2,715 hits in his 17-year career, executed a one-out bunt. Former AL batting champ Heinie Manush, who had entered the season with a .340 batting average in eight seasons, lined to short for what seemed to be a routine double-play ball.8 According to the Boston Herald, shortstop Hal Rhyne broke too soon to cover second base, and the ball went through the gap, enabling Rice to scamper to third.9 He subsequently scored Washington’s first run on Joe Cronin’s force out. A “broad grin from Dame Fortune,” opined the Herald, led to Washington’s second run, in the third inning.10 Buddy Myer walloped a high fly ball under which, according to the Globe, left-fielder Rothrock “camped almost directly.”11 Blinded by the sun, Rothrock lost sight of the ball, which hit the ground and bounced. By the time he retrieved it, Myer was on his way to third. No error was charged to Rothrock. Rice followed with a whistling single (his 10th hit in his last 19 at-bats) past the pitcher to drive in Myer. Both teams threatened in the fourth inning. With a “tendency toward unsteadiness,” Burke issued free passes to rookie Urbane Pickering and Bill Sweeney, but escaped unscathed.12 It was the only time Boston had two runners on base. After Washington’s Joe Kuhel belted a two-out double, Moore intentionally walked Roy Spencer to play the percentages against his hurling counterpart. Burke obliged by making the third out. Save for two scratch safeties in the first and a fluke hit in the third, Moore pitched well enough to keep Boston in the game. He escaped a scare in the seventh, stranding Kuhel at third after he had reached on a one-out single. But the stout, 6-foot, 200-pound Moore seemed to be wilting in the heat and humidity in the nation’s capital. The Nationals, as Washington was affectionately called by both sportswriters and fans, broke the game open in the eighth when Rice, Manush, Cronin, and West connected for four consecutive singles resulting in two runs; Cronin and West were each credited with an RBI. Kuhel knocked in Cronin on a force play to give Washington a 5-0 lead. Burke took the mound in the ninth with the Washington faithful on their feet cheering him on. He was in unusual territory. The softspoken hurler had completed only 11 of his 41 starts in his career thus far, and had only one shutout to his credit – a seven-hitter against Boston on June 22, 1928. Wiping the sweat from his brow, Burke quickly retired Rothrock on a routine liner to center fielder Sam West, and then dispatched Rhyne on a weak roller to shortstop Joe Cronin. Club owner Clark Griffith supposedly had a soft spot in his heart for Burke, yet was concerned that the southpaw’s frail frame and stamina would keep him from becoming a bona-fide big-league starter. But on this day, Burke was just one out away from baseball immortality. Nonetheless, both the players and fans had to endure a few minutes of suspense before the game concluded. Undoubtedly feeling a rush of adrenaline and perhaps some jitters, Burke issued his fifth walk of the game – and third to Pickering – to prolong the game. Boston’s most dangerous hitter, Earl Webb, who set a major-league record with 67 doubles that season, took two strikes and a ball as Pickering strolled unmolested to second and third. (No stolen bases were credited.) Needing one more strike, Burke heaved a fastball; Webb kept the bat on his left shoulder as he watched the ball rocket over the plate. Home-plate umpire George Moriarty yelled strike three to end the game in just one hour and 39 minutes. Mobbed by his teammates on the mound, Burke finished with a career-high eight punchouts while becoming, in the words of the Boston Herald, “one of the heroes of the national pastime.”13 Burke’s gem earned him another shot as a starter, but success proved to be elusive. In his subsequent five starts, he surrendered 30 hits, 19 walks, and 19 earned runs in just 23⅓ innings. Winless after his no-hitter, Burke finished the season with an 8-3 record and 4.27 ERA in 128⅔ innings. 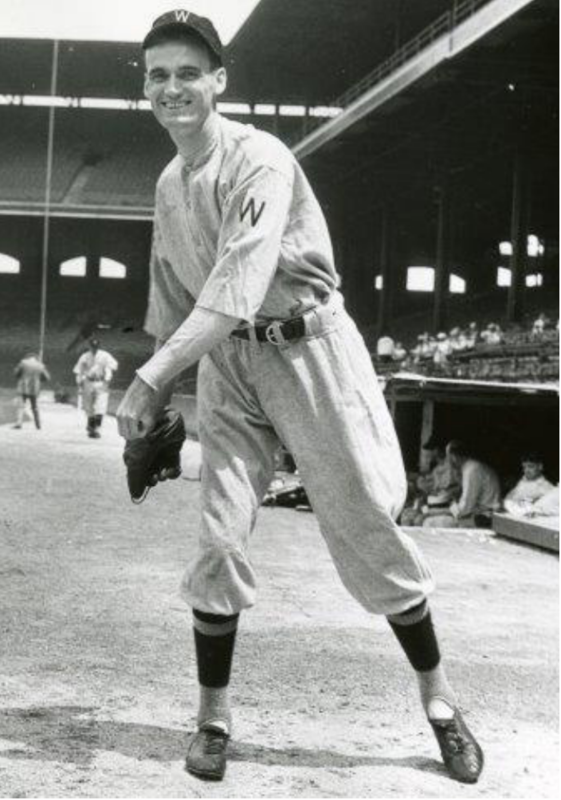 Major-league baseball was played for another 30 years in Griffith Stadium, but only Bobby Burke can lay claim to be the sole Senators hurler to toss a no-hitter in the history of that park. The next no-hitter by a Washington pitcher in the nation’s capital came 83 years later, when 28-year-old All-Star right-hander Jordan Zimmerman of the Washington Nationals turned the trick on September 28, 2014, against the Miami Marlins in the club’s last game of the season. 1 Associated Press, “Bobby Burke, an In and Outer With Washington for 4 Years, Pitches No-Hit, No-Run Game,” Jacksonville (Illinois) Daily Journal, August 9, 1931: 10. 2 Ronald Valentine (Associated Press), “No-Hit, No-Run Gem Pitched by Youngster,” Anniston (Alabama) Star, August 9, 1931: 12. 5 “No Hit for Red Sox Against Burke,” Boston Globe, August 9, 1931: A1. 6 Associated Press, “Bobby Burke, an In and Outer With Washington for 4 Years, Pitches No-Hit, No-Run Game,” Jacksonville (Illinois) Daily Journal. 7 “Senators Bunch Hits to Emerge Victorious, 5-0,” Boston Herald, August 9, 1931: 1. 8 As a member of the Detroit Tigers, the 24-year-old Manush led the majors with a .378 batting average in 1926. 9 “Senators Bunch Hits to Emerge Victorious, 5-0,” Boston Herald. 13 “Senators Bunch Hits to Emerge Victorious, 5-0.” Burke also had eight strikeouts against the St. Louis Browns in an eight-inning relief outing on May 12, 1934, at Griffith Stadium.